The last guests of the historic Hotel Laguna turned in their room keys and its longtime operator turned over the property last week to the landlord, but much else about the iconic downtown property remains uncertain. A lone guest keeps a light on at Hotel Laguna in the last weeks of operation by the Andersen family. Photo by Mitch Ridder. The new closure comes nearly three years after a vacancy darkened another local icon, the still empty historic downtown South Coast Cinema, just a block away from the hotel. Despite a lease on the 68-room, ocean-front property that expired on Dec. 31, the hotel’s operator, Georgia Andersen, continues to press a claim in court for an unspecified amount of damages. In a new breach of contract lawsuit filed this time in Orange County Superior Court, a lawyer representing Andersen Hotels Inc. again alleges that Merritt fraudulently concealed a third-party deal that amounted to a sale of the hotel and disregarded an obligation specified in a lease. The suit pursues a claim against the landlord for a “duty of disclosure,” said attorney Proud Usahacharoenporn, representing Andersen. In the lawsuit, she claimed that Andersen suffered substantial business losses due to uncertainty over the hotel’s future because her requests for information about post-lease arrangements were met with silence. Exact losses would be determined by expert witnesses, she said. Also named in the suit are real estate developers Joe Hanauer and James “Walkie” Ray, filmmaker Greg MacGillivray, all of whom live locally, and Kimbark LLC. The suit alleges the trio struck a 99-year lease deal with the Merritts for the hotel, legally equivalent to a sale in order to sidestep the lease terms granting Andersen the right of first refusal on a sale. Mayhew denied that such a 99-year pact exists between the farm family and Hanauer, Ray and MacGillivray. “They are in discussion to possibly become new tenants, but there never has been an agreement,” she said. No new negotiations are scheduled, she said. That statement differs somewhat from the position of Kimbark’s lawyer. “Kimbark is continuing to work with E.W. Merritt Farms to obtain an agreement to operate the hotel,” said Costa Mesa attorney Janet E. Humphrey, representing Hanauer and company. Hanauer could not be reached for comment. In the meantime, lawyers Mayhew and Humphrey both said they will again contest the terms of the new suit, filed Dec. 28. On Dec. 13, U.S. District Judge Josephine L. Staton dismissed three claims in Andersen’s initial suit, which could have given the court jurisdiction in the matter. The judge ruled that alleged trademark violations lacked a factual basis and allowed Andersen’s attorney time to bolster the suit. The alleged contract violations were not adjudicated. Instead of amending the complaint in federal court, Andersen’s attorney filed a new claim in state court, but omitted the trademark claim. Is there any chance that Hotel Laguna will reopen by mid-August? I love that old hotel. By August 2018? No way. It will be July 1st tomorrow…I don’t understand why the owner is still pressing the law suit, and its still in the courts. The locals think they want to just tear it down. Hope not! Our getaway of choice almost every year since 1990. You are right about the staff. Hello Woody! Loved Hotel Laguna and the staff. 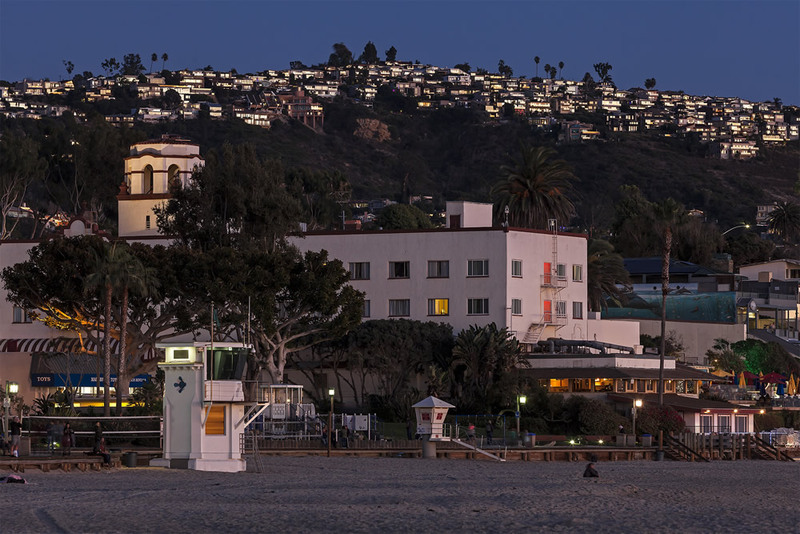 The hotels location is in a perfect spot in Laguna Beach. We have stayed there several times. We even had our wedding there three years ago and enjoyed our weekend stay there. Hotel Laguna is a historical landmark. I don’t think it will be torn down. It’s an old hotel with lots of old memories and old stories that needs to be preserved. One of the first hotels in beautiful Laguna Beach. I just hope everything gets settled soon and that it reopens again. Such a beautiful hotel. and style! We recently visited her in early September…and when we saw the place boarded up and the windows paper-draped, my wife and I were in tears! What a shame! She looks like she has been thrown to the trash heap! Owners, Landlords, Gatekeepers, whoever……Please get it together and fix this MESS! There are hundreds of customers just waiting to support, love, and renew their relationship with your hotel and the staff that made her so great! This court bickering has gone on long enough!